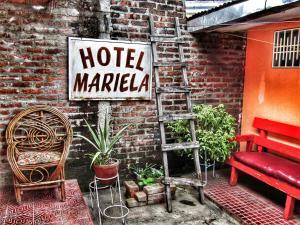 ﻿ Best Price on Aparthotel Gueguense in Esteli + Reviews! Featuring a garden and a restaurant, Aparthotel Gueguense is located in Estelí. Free WiFi is provided. The rooms in the hotel are equipped with a TV. Certain rooms also offer a kitchen with an oven. Aparthotel Gueguense has a terrace. Staff are always available to help at the reception. A prepayment deposit via Western Union is required to secure your reservation. The property will contact you after you book to provide any transfer instructions.